With the magnificent physical presence of ports and terminals, often close to major cities, it is easy to overlook the side of the maritime business that takes place offshore, out of the public line of sight. But that’s not to say that this side of the business is any less important. While oil rigs and platforms offer more semi-permanent means of plumbing the depths for crude oil and gas reservoirs, often in remote offshore locations, other more flexible options are available. 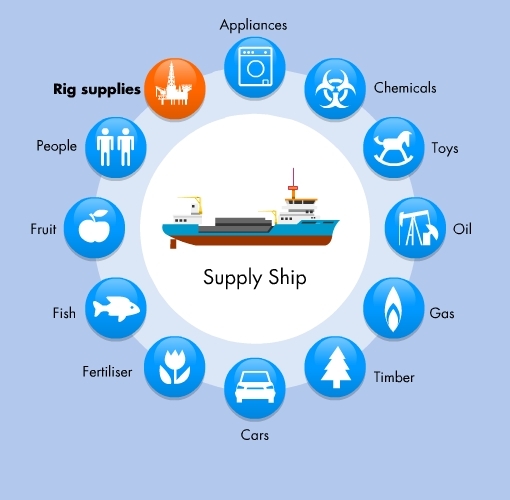 The Floating Production Storage and Offloading vessel, or FPSO, is a floating unit which can receive, treat, store and offload oil and gas pumped up from a reservoir that it is directly connected to. A Floating Storage Offloading vessel, or FSO, offers the same functions, without the treatment and is connected directly to the production facility, rather than the reservoir. There is also a need for specialist support ships to help at various stages of extraction. Platform Supply Vessels offer fuel supply, fresh water, equipment and fire-fighting capabilities, among other things, while Anchor Handling Tugs can set and retrieve anchors and can be used for towing offshore units. Other offshore vessels lay cables, help with crane operations, pipeline laying, diver support and rescue operations.